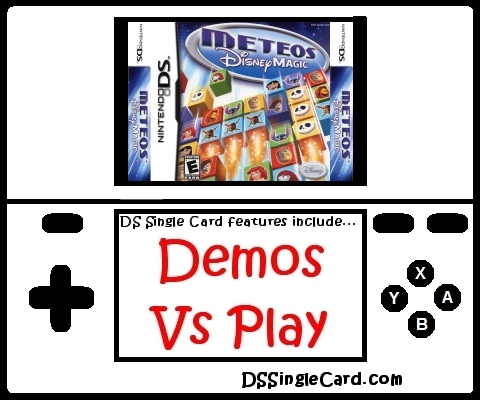 Alternate Names: "Meteos Disney", "Meteos: Disney Edition"
Plunge into fun puzzle action! Embark on an epic quest to fix the famous Disney storybook vault in Meteos: Disney Magic! Combine blocks, create combos and blast them off the screen in both single and multiplayer modes as you help save the day for all of your favorite Disney characters! Drop into 8 Disney worlds!